Henrico County on Wednesday gave another stamp of approval for a multi-story golf and entertainment venue planned just west of Scott’s Addition. The county planning commission unanimously approved the plan of development for a Topgolf driving range facility to eventually rise on 14 acres at 2308 Westwood Ave. It will be the first Richmond-area location for the rapidly expanding, Texas-based company, which operates three locations in Virginia. 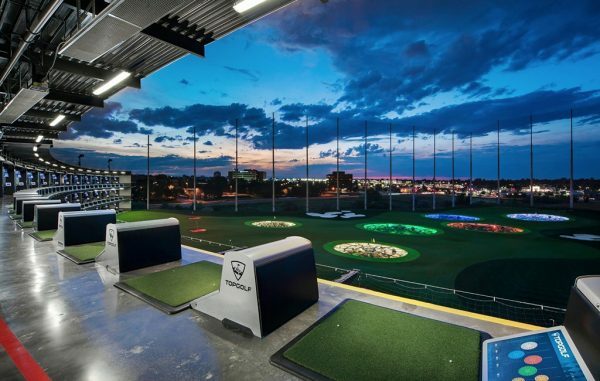 Topgolf is under contract to purchase the land, which is owned by a partnership between local developers Fountainhead Properties and Rebkee Co. That group paid $6.5 million for the property in a September deal that also included the 220,000-square-foot Sears Outlet and distribution complex and its surrounding 12 acres at 4100 Tomlynn St. The project must next go before the county board of supervisors for final approval of a provisional use permit to allow two dozen poles and netting onsite. The permit was needed because of the height of the poles, some of which will rise 170 feet and encircle the driving range to contain balls flying from the facility’s 100 or so hitting bays stacked on three levels. The planning commission already recommended approval for that permit. No further approval is needed for the plan of development. Topgolf representatives said construction would start as soon as necessary permits are in hand, pending finalized versions of the plans and construction drawings being submitted to the county. The company hopes to open the venue later this year or in early 2019. Timmons Group is the engineer on the project. A general contractor has not yet been enlisted. Attorney Jim Theobald of Hirschler Fleischer is representing Topgolf throughout the planning process. The Henrico location would be one of three-dozen Topgolf facilities operating nationwide and internationally. It has more than a dozen other sites in the works, according to the company’s website. Customers tee off from climate-controlled bays that include TVs and tables for drinks and snacks. They aim at lit targets spread across the range, hitting balls fitted with computer chips to track where each shot lands, letting friends compete against each other. Topgolf charges for each bay by the hour – between $25 and $45 depending on the time of day. Topgolf has been looking for a site in the Richmond market since at least early 2016. Its main competitor, New York-based Drive Shack, is working on a similar $25 million facility off West Broad Street in Goochland County, just west of the Henrico line.